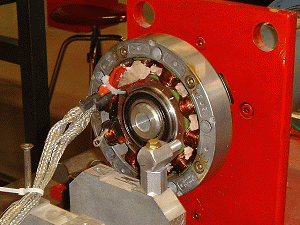 In order to quickly answer questions on the Rotax rectifier/regulator, here is a quick summary of the tests on the Rotax regulator/alternator combination. This "beta version" will be updated in the future. 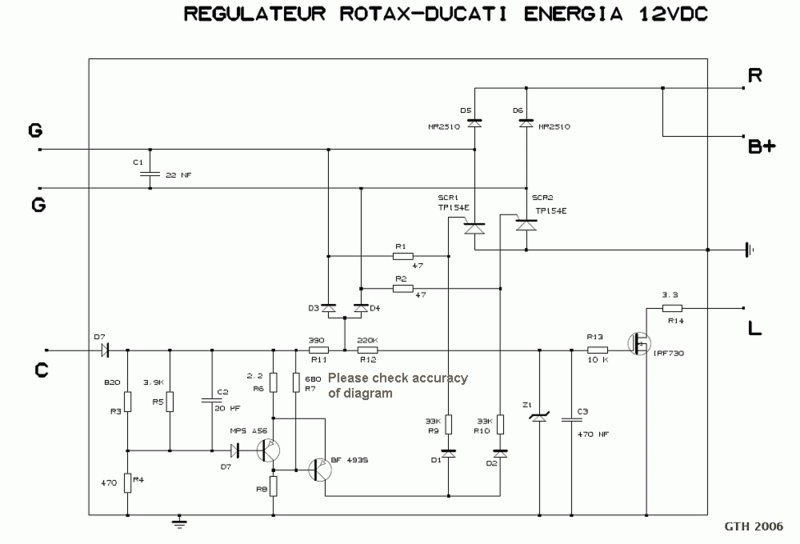 The Rotax/Ducati rectifier-regulator supplied with the Rotax 91x engines exhibits an alarming rate of failure among homebuilt aircraft. The pieces were waiting a hypothetical test in my garage, until I met Jérôme Delamarre, a young electricity professor and researcher at LEG (Electrical Laboratory of Grenoble), University of Grenoble, France. Jérôme is an MCR lover, and he soon proposed his help to test the alternator and his regulator. Jérôme machined an adapter to install the regulator on a test bench in one of his students laboratories. We spent several weekends conducting tests. 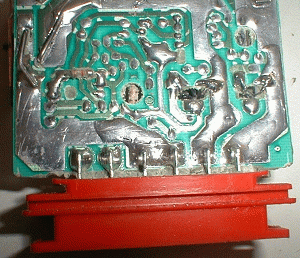 In the meantime, Dyn'Aero sent two failed regulators. I took them to pieces, removing the foam to identify the components. Jérôme studied the principles of the regulator. At the time (winter 2003), we had difficulties founding specs for the TPE154E SCRs. 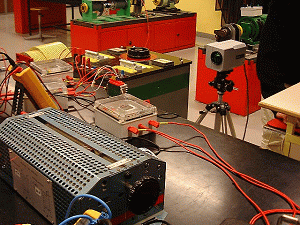 Jérôme had to run them on a test rig in his laboratory. Here is a diagram, redrawn after our previous study. There have been lots of questions on the Internet, as to whether the Rotax regulator is shunt or else. 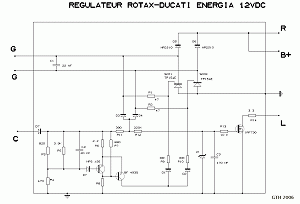 The Rotax regulator is not of the shunt or series type. This diagram was redrawn from hand sketches taken two years ago. It is offered as-is, for information purpose. It may contain errors. When -and if- time permits, I'll retrieve the dismantled units, and check its accuracy. 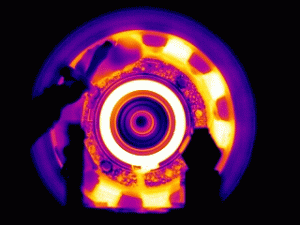 The students continued with a thermal study. Here we can see the thermal camera, used to identify hot spots. 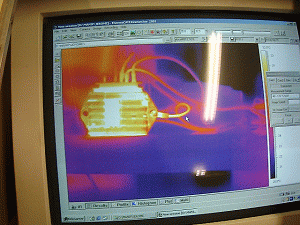 Rotax documentation specifies an ambient temperature limit of 90°C. This seems doubtful. 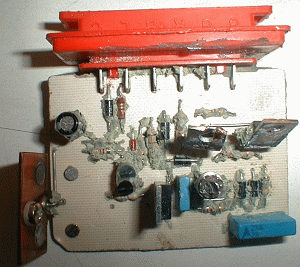 - Thermal resistance between the regulator heat sink and and the ambient atmosphere, measured at sea level, is 2°C/W. 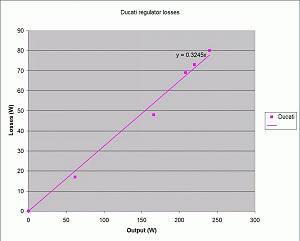 - In a simplified way, one can add a series thermal resistance of 0.3°C/W to obtain junction temperature. - Junction temperature must not exceed 125°C. 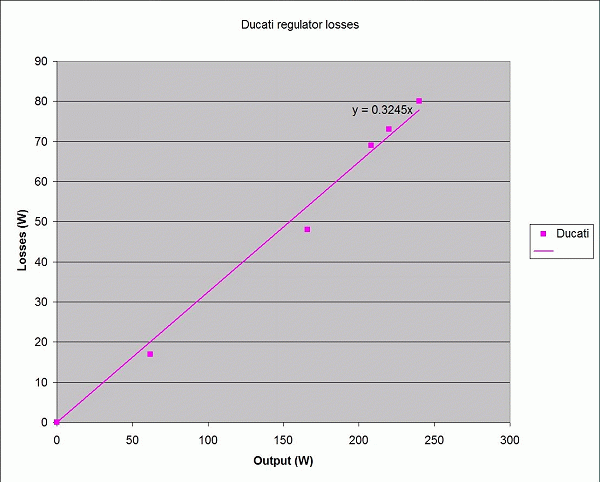 Using the regulator at nominal output without further cooling seems impractical. - Many use but one tenth of the nominal power advertised by ROTAX.